At Hong Ngoc IVF Center, we understand that each patient is unique, with different medical situations, circumstances and psychological characteristics. Therefore, it’s crucial for us to provide personalized treatment with most appropriate approaches. Each patient brings with them an individual situation to Hong Ngoc IVF Center. We understand this and always keep in mind that deeply understanding our patient allows us to offer them the most effective treatment. We need to understand from their conditions, psychological characteristics, hobbies and habits to, most importantly, their problems. 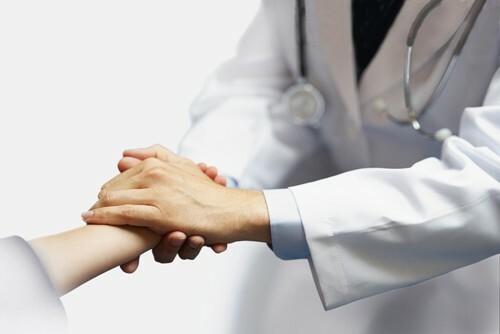 As each patient is a unique case and there aren’t two exactly same cases, we provide our patients with completely personalized treatment. 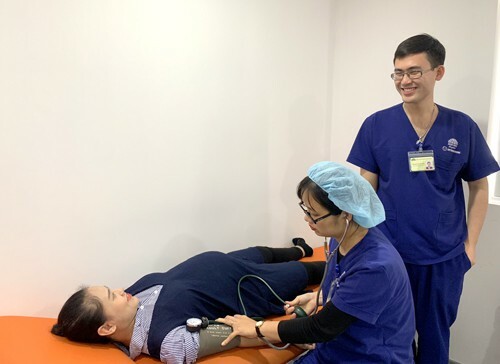 Personalized treatment can be seen right from the first day when you visit Hong Ngoc IVF Center, taking small steps of collecting weight and height. All information including medical history and data related to your previous visits are saved in an encrypted medical record created by our software SmartMEDIX. In your next visits, it takes only some seconds for doctor to review the whole treatment process, results of blood tests and ultrasound, as well as assess your response to previous treatment. Thus, at Hong Ngoc IVF Center, even if you meet different specialists in your visits, you will not have to repeat again and again about you issues. Understanding each patient is the key to provide them with the most appropriate treatment. Infertility treatment is often a long journey. Sometimes, patients could meet all requirements to take assisted reproductive techniques such as Intrauterine Insemination (IUI) and In Vitro Fertilization (IVF). However, most of patients are not lucky that much. Some patients may experience hormonal problems requiring regulation in some cycles. In some other cases, surgery or complex techniques such as laparoscopic ovarian drilling, Adhesiolysis, myomectomy, and more should be applied so that the female body could get ready for embryonic implantation and development. Right from the beginning, our doctors will plan a detail treatment strategy and clearly discuss with you. By doing so, you and your family would understand your problems and challenges with which you could face during the treatment period. After the preparation, it’s time to take some assisted reproductive techniques. Hong Ngoc IVF Center is capable to perform all assisted reproductive techniques available in Vietnam as well as the world’s most advanced procedures (see more Services). Which technique would be chosen and how it is performed will be carefully considered by our specialist on the basis of your demands and conditions, including both medical factors (age, hormonal status, state of abdominal cavity, ovarian reserve, sperm quality, etc.) and social ones. Then the most appropriate course of medications for your body will be instructed. Our happiness is to accompany with you during your journey. Personalized treatment also involves in oocyte retrieval, embryo process and embryo transfer stages. We offer the most suitable options for each patient. For example, double double lumen needle (one for follicle flushing) would be chosen for advanced age women with low number of follicles. Various types of needles with different shape and sharpness of the tip for ovaries which had done pick up before. A wide range of embryo transfer catheters with different echogenic tips are considered to suit different uterine positions. Cultivating and placing embryos in cryo straws of the laboratory is also discussed and consulted by the clinical doctors concerning the status of uterus and the ability of having twins. For uterus with large fibroids or small uterus with poor response to treatment, our embryologists will reserve only one or maximum two embryos each straws. Pregnancy management is also individualized for each patient. All details of your obstetric history such as the number of births, the number of miscarriages (if any), or special conditions occurred in the previous pregnancy, etc. are collected to make your “maternity record”. On the basis of your own record, our specialists will consider and provide the most appropriate daily regime, supplementary nutrition, necessary medications, required blood tests and specific time to take them. If you didn’t have any problem during the previous maternity, then please don’t wonder why others must take medications and blood tests which are not instructed to you. Your starting points and journeys are different, you only share the finish point which is to successfully bring your babies home. Above are just some small examples showing how we devise personalized treatments to you at Hong Ngoc IVF Center. This is the most significant basis for us to reach the current high success rate. We believe that infertility treatment could not succeed if the only questions are which medication should be taken and at which dosage it should be. The most important factors for the patients is the feeling of assurance. We hope that Hong Ngoc IVF Center is the place where you have peace of mind, feeling our great care, and is actually “the place to trust”.